On a recent visit to the New York Public Library, I came across a lovely lithograph called The Fairie’s Home *. Happily, the image is part of the NYPC’s ‘free-to-use without restriction catalog. 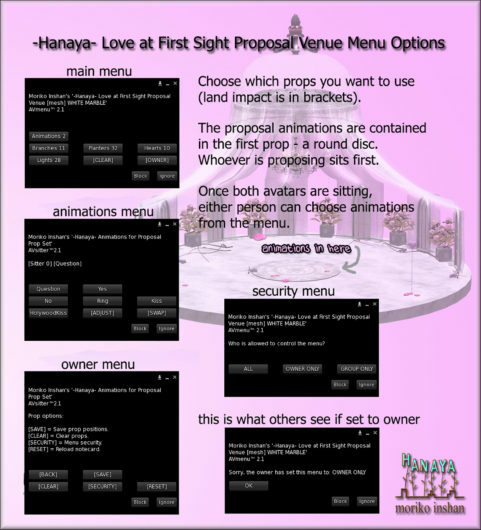 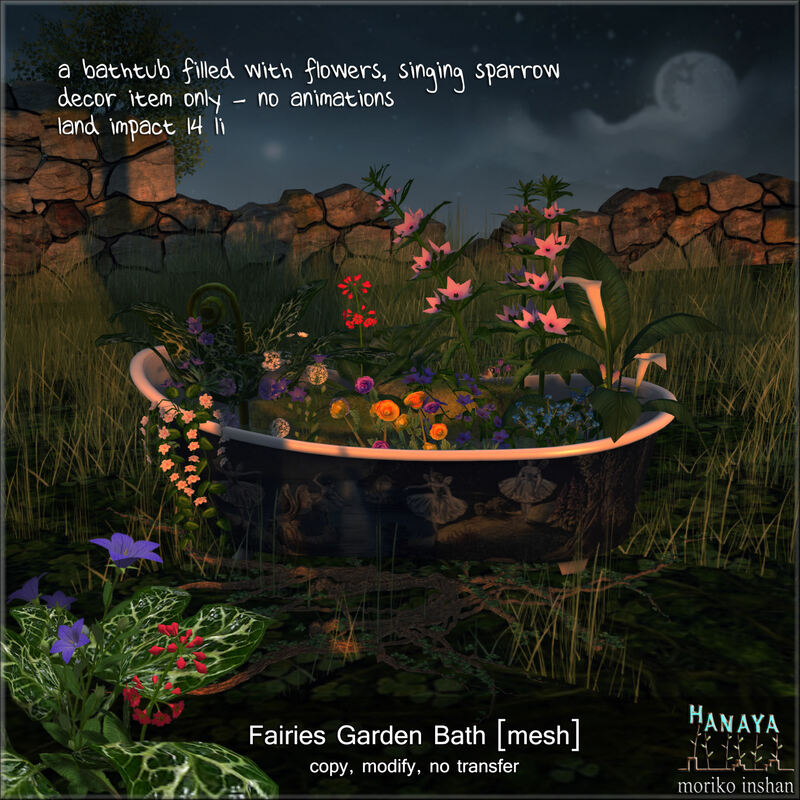 It inspired the new -Hanaya- Fairies Garden Collection. 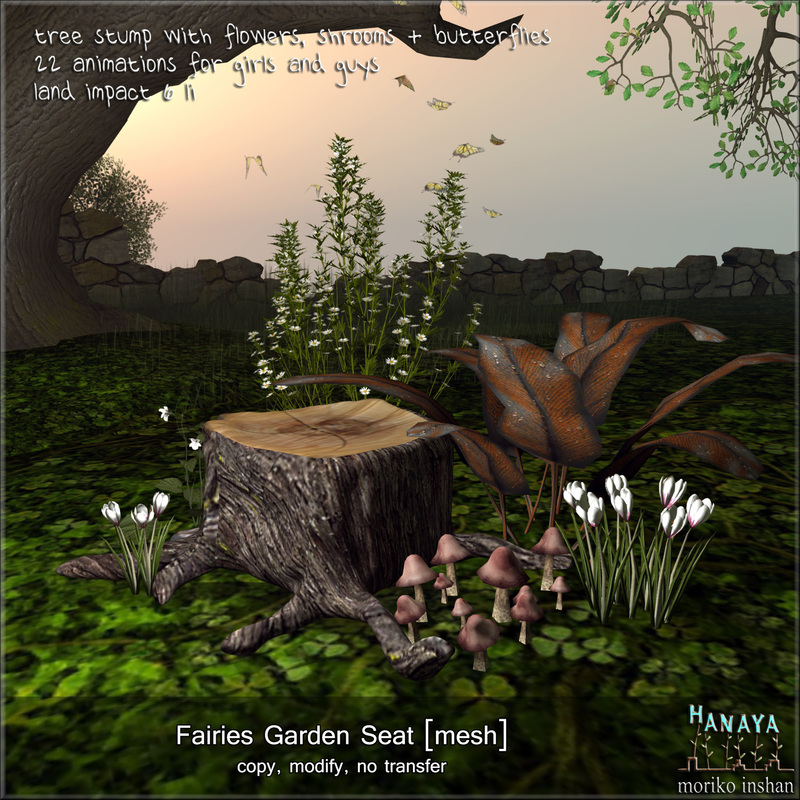 The Fairies Garden Seat has 22 animations for girls and guys with a land impact of 6. 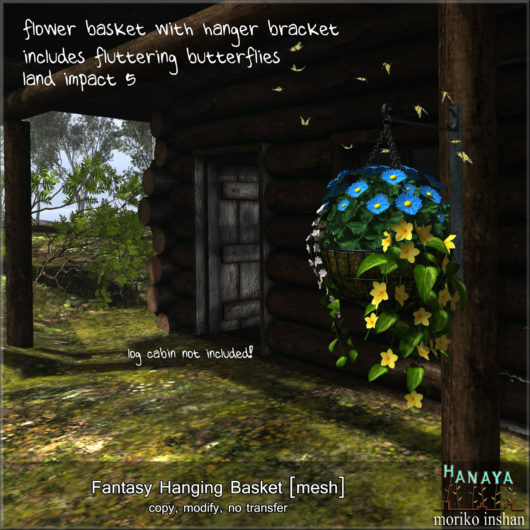 Perennial flowers, foliage and a clump of mushrooms anchor it to the ground and butterflies flutter gently above it. 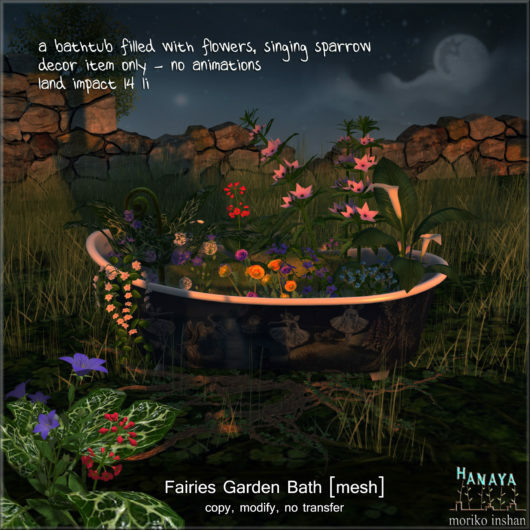 The most whimsical piece of the collection is the Fairies Garden Bath – overflowing with spring and summer flowers. 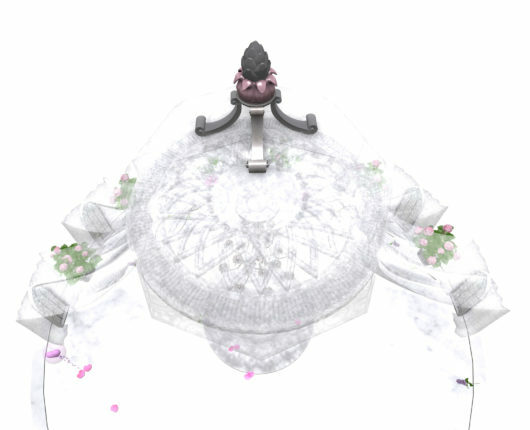 The tub itself features parts of the lithograph on the front and rear. 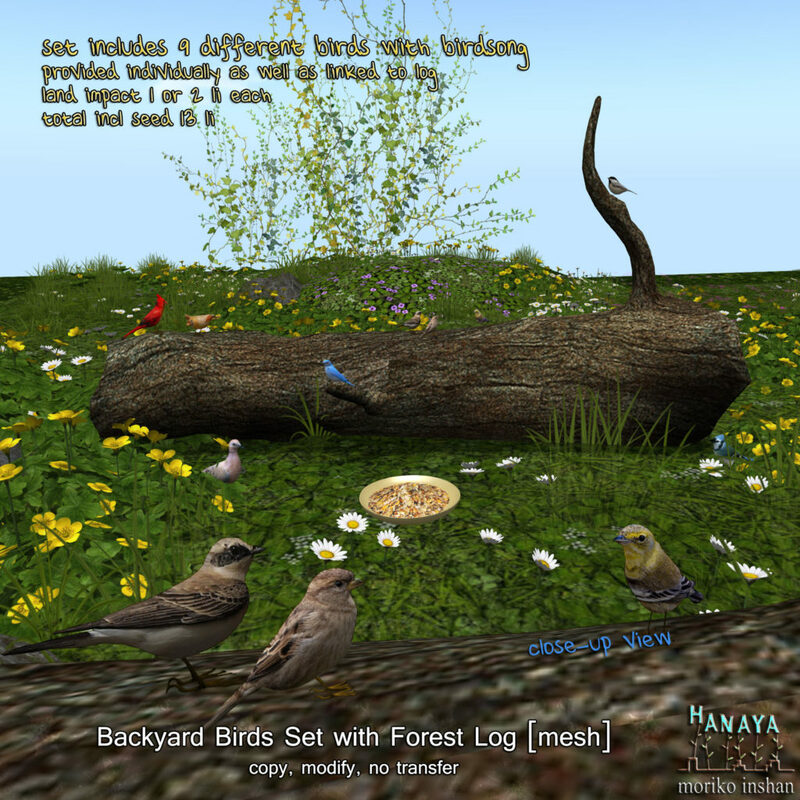 Land impact of 14. 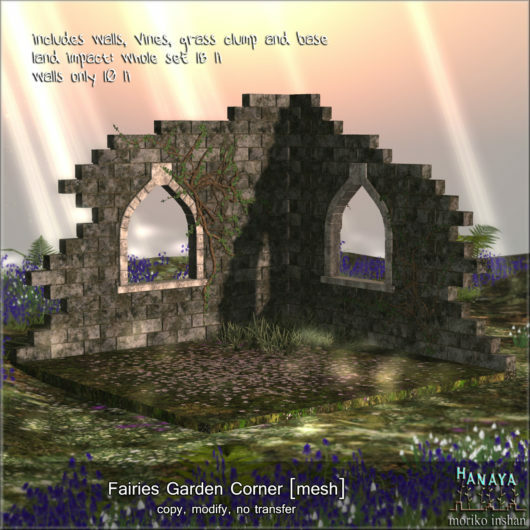 The Fairies Garden Corner is a set of walls, which are an original mesh from -Hanaya- and have a land impact of 10 at provided size. 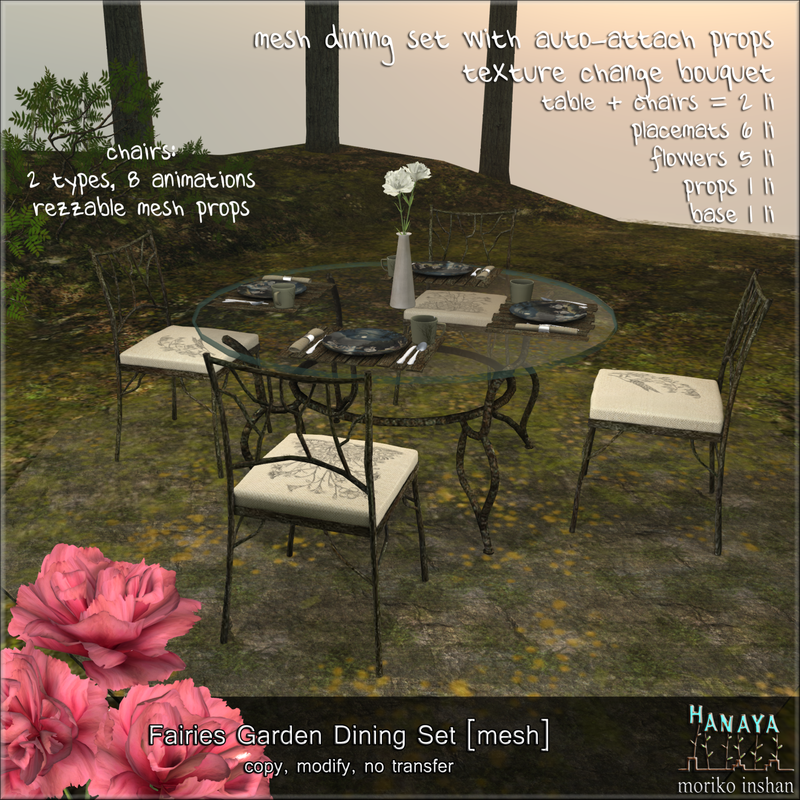 The whole set, with the base shown, 3 creeping vines and a clump of grass weigh in at 18 li. 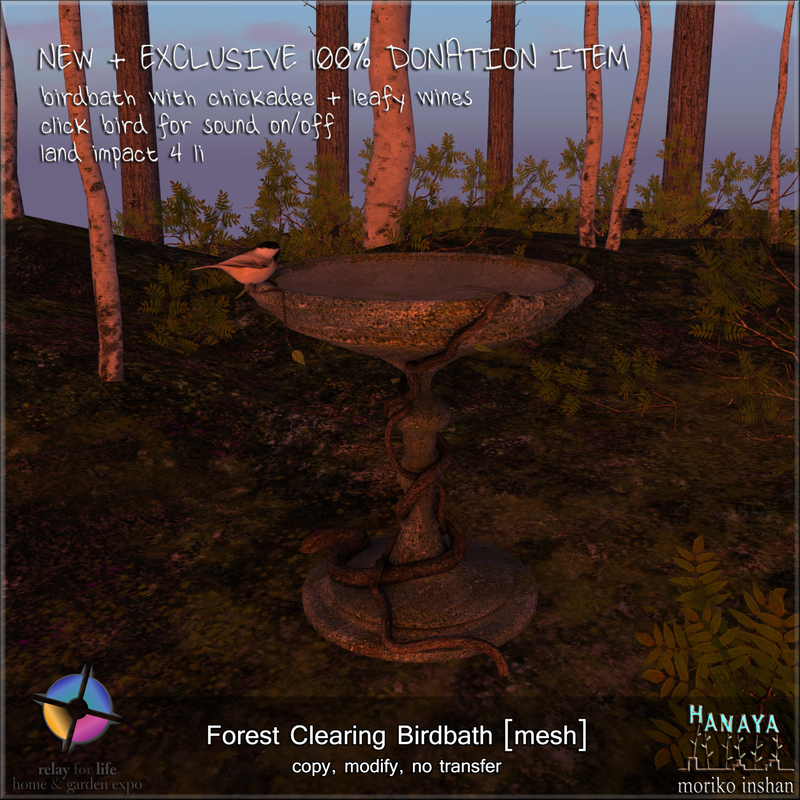 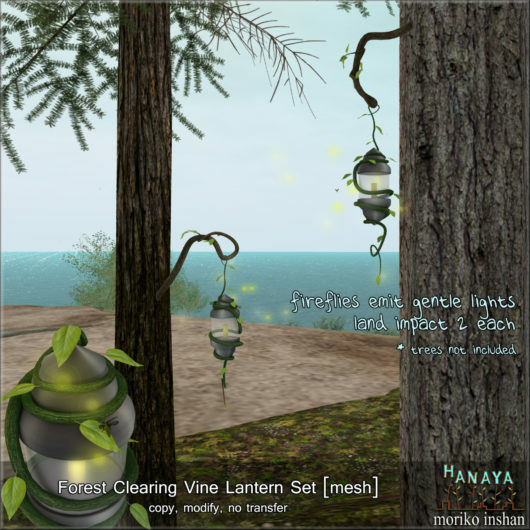 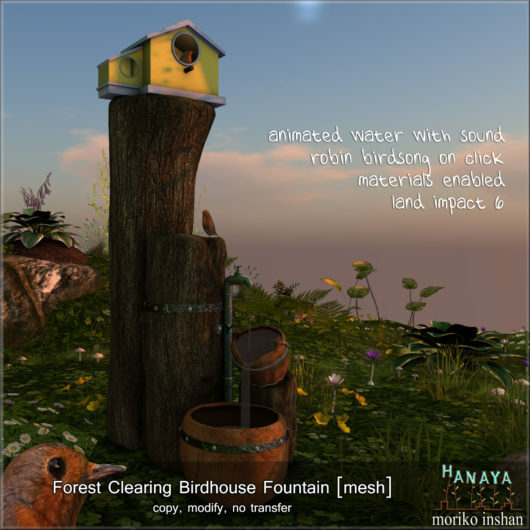 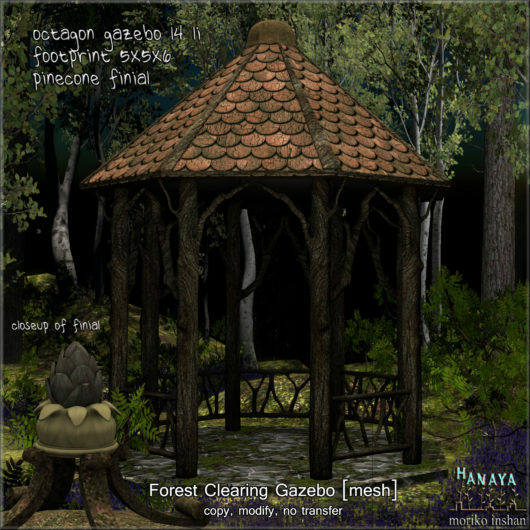 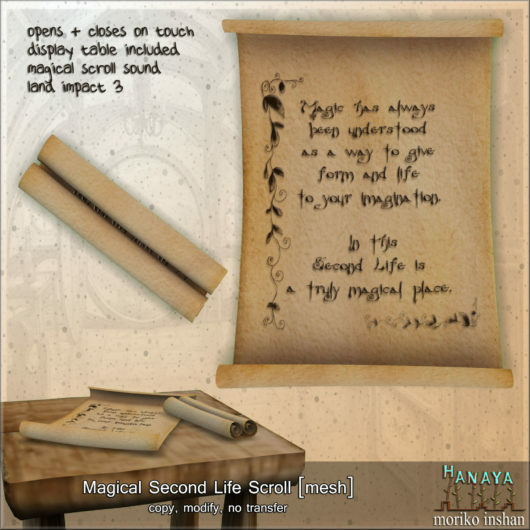 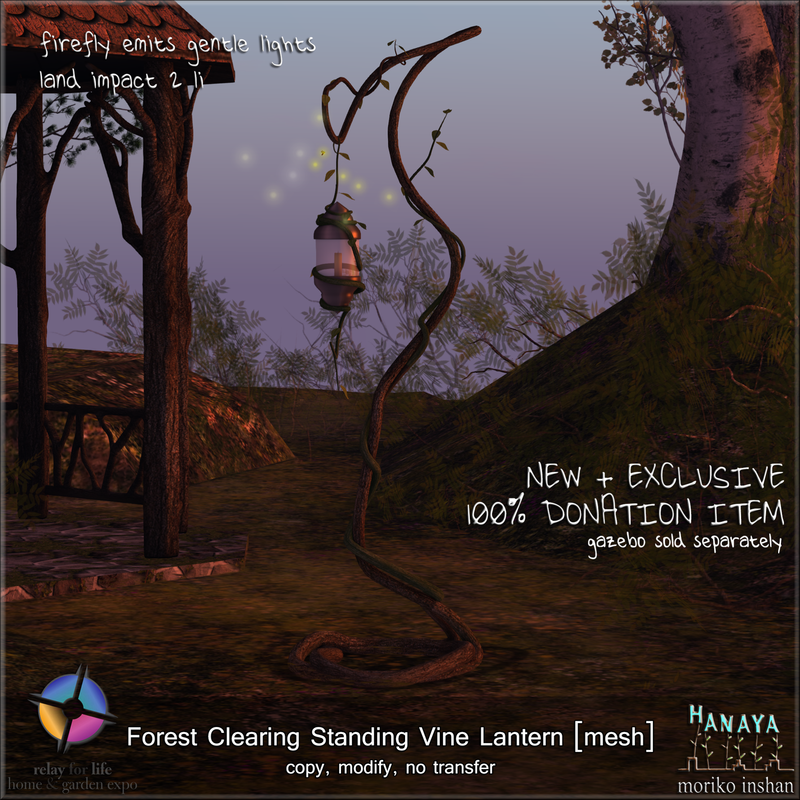 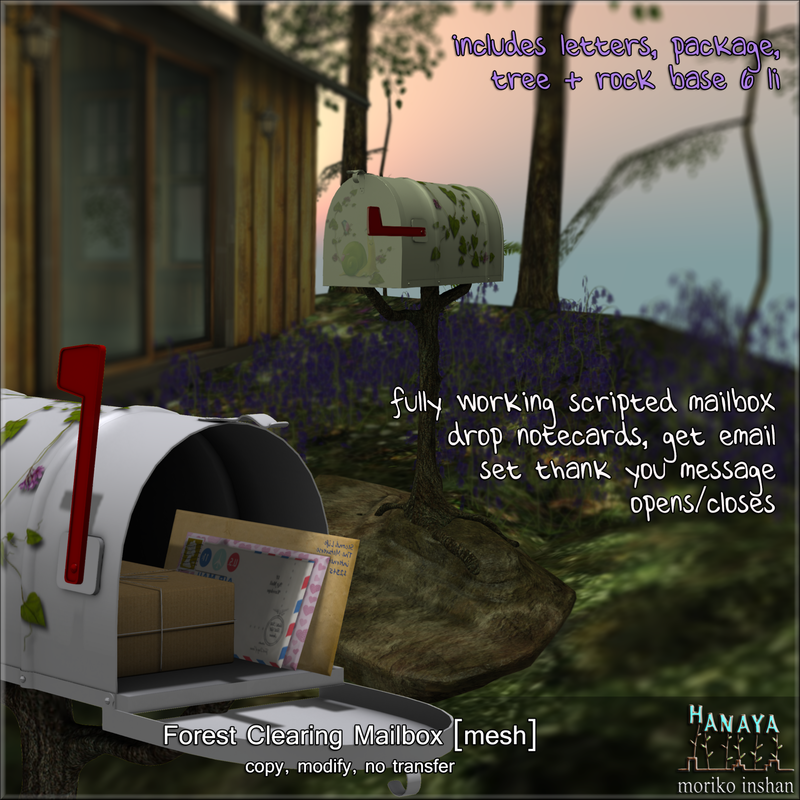 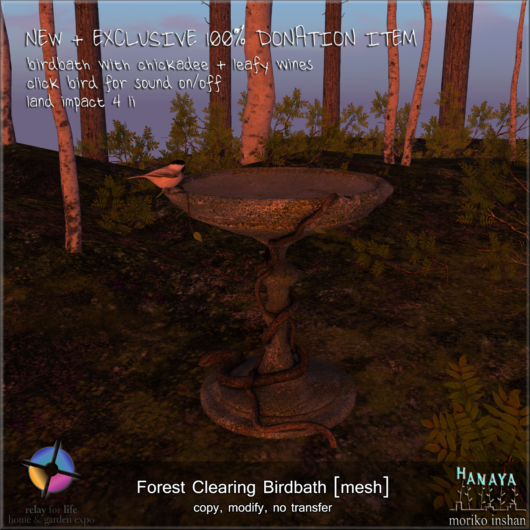 All of the Fairies Garden pieces are currently on display at -Hanaya- inworld, and on the Second Life Marketplace (sort by newest). 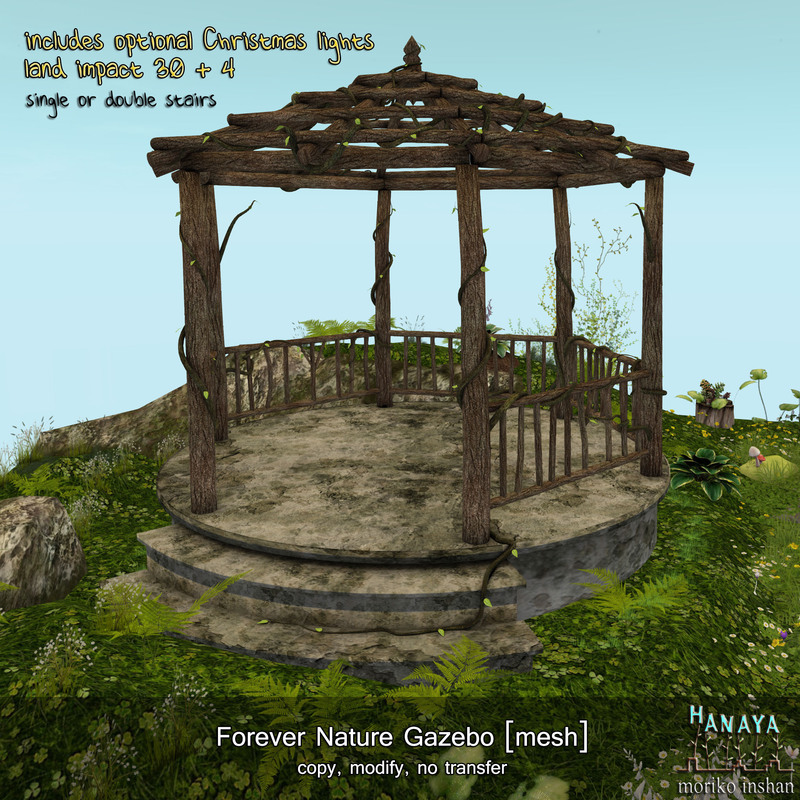 This entry was posted in Product Announcements on February 6, 2016 by moriko.